In my latest unboxing video, I take a look at the Star Wars: Leia Organa Rebel Leader Box from Chronicle Books. 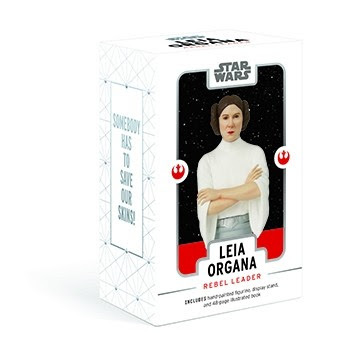 This is a rather neat package that includes a 4¾" hand painted figurine of Princess Leia, a sturdy display stand and a 48-page illustrated book that is packed with all the information you need on the Princess. All this for £17.99/$19.99.